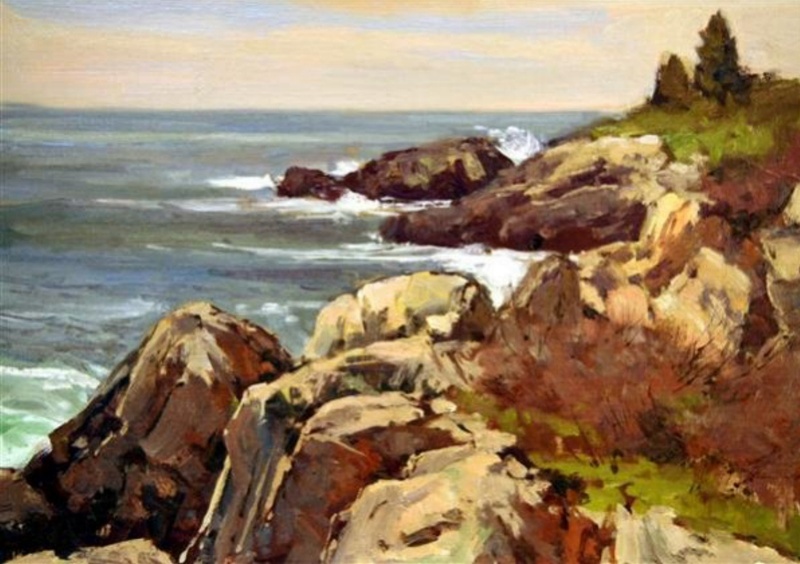 America, the American watercolor society, Guild of Boston Artists, Salmagundi Club, and the American Artists League. This piece is an oil on artist board and has the estate seal afixed to the back. It is framed in a new 22 karat gold frame.